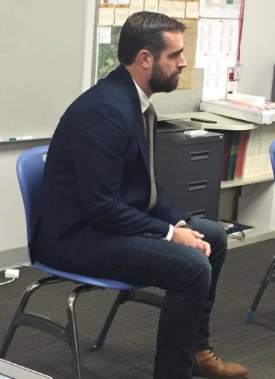 As they continued preparing to lobby City Council members next week at City Hall, middle schoolers in the Let's Go Lobbying intensive got advice today from State Representative Brian Sims. Each group of three or four students shared their positions on their chosen topics: retaining the beverage tax, creating a demonstration protected bike lane on Market Street running from 20th Street to City Hall, and scheduling a later start time for students attending middle school and high school. Brian answered our lobbyists' questions about the best way to present their information and about what kind of evidence might be most convincing. If Brian ever decides to leave politics, he certainly has the makings of an incredible middle school teacher!